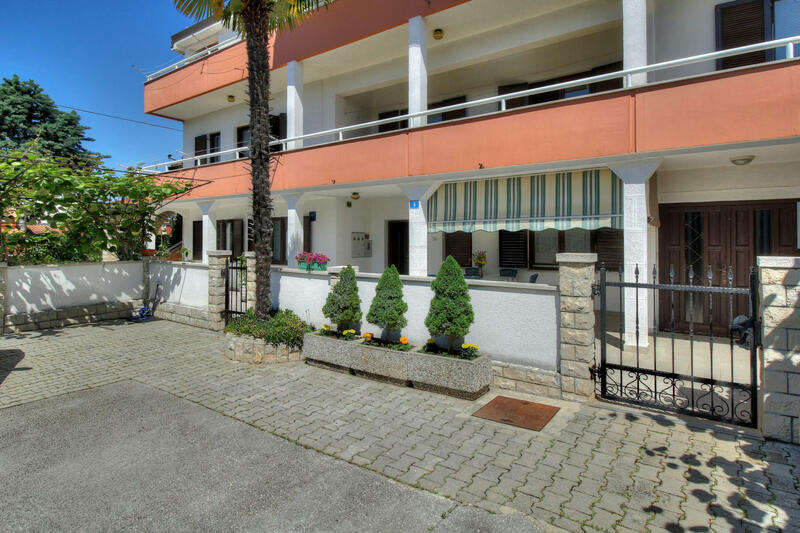 Apartments Sonja are located in Zambratija, 5 km away from the Umag centre and Old Town. Rijeka is 100 km away while Pula is 85 km away. The apartments are situated in a family house; on the ground and on the second floor. The owners live at the property. They each contain 2 double bedrooms, 1 bathroom with shower, kitchen with dining area and a terrace. Wifi is available throughout the area. The apartments are equipped with satellite tv and air condition. 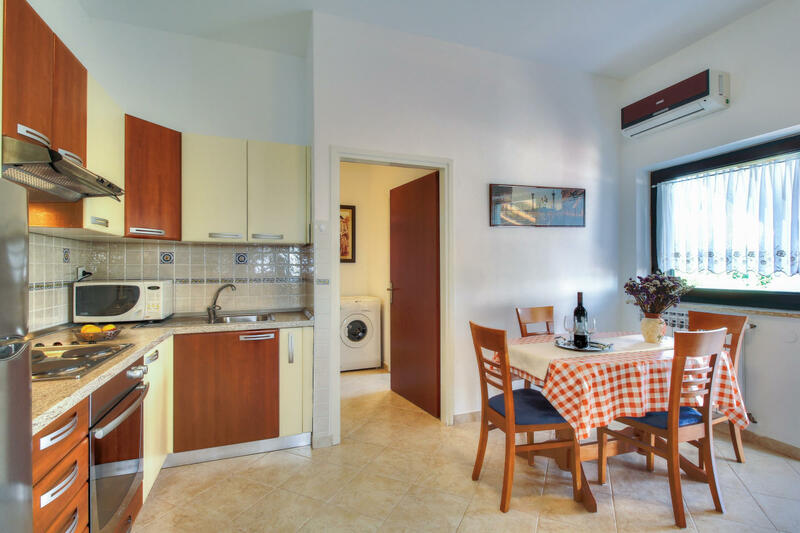 The apartments are surrounded by a big garden area with outside sitting area, roffed terrace with dining area and a barbecue. Childrens playground is also available in the garden. Guests can use free private parking. The nearest beach is only 500 m away. Market,bus station and pharmacy are 6 km away from the accommodation. Umag Central ATP Stadion Stella Maris is 3 km away. 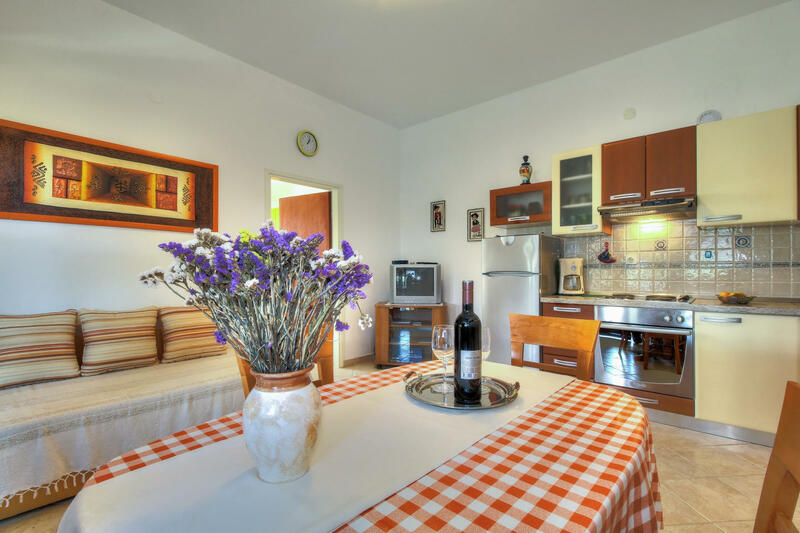 The nearest airport is Pula Airport, 90 km from Apartments Sonja. Zambatija is a cosy village, has several high quality restaurants. Within a 30 minute drive from here there is everything from golf to truffles to several lovely towns like Portoroz, Piran, Momjan, Porec and Rovinj. Sandy beach with a beach bar is only 500 m away from the property. Aquapark Istralandia is 20 km and Baredine cave 40 km away from the property.